I can pretend in my uppermess of a head that somehow, somewhere fall has arrived. so posting it then seemed so wrong. So I decided to wait till we were three days into fall. 1. Preheat oven to 350 with rack on lowest shelf. 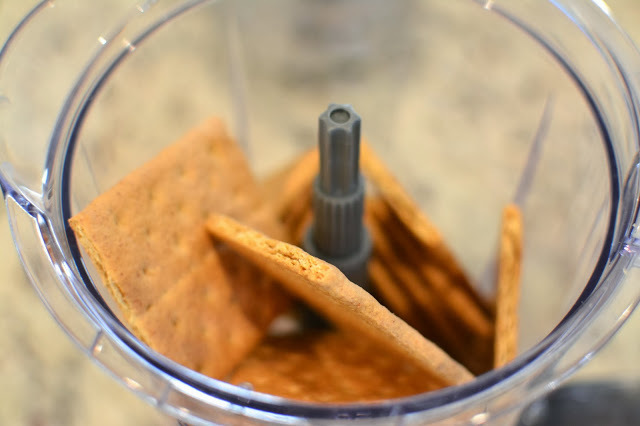 Crust: In a food processor, pulse graham crackers, sugar, ginger, and salt until finely ground. Add butter; pulse until mixture forms large, moist crumbs. Press crumbs into bottom and up sides of a 9-ich pie plate. 2. Filling: In a large bowl, whisk together eggs and sugar till combined. 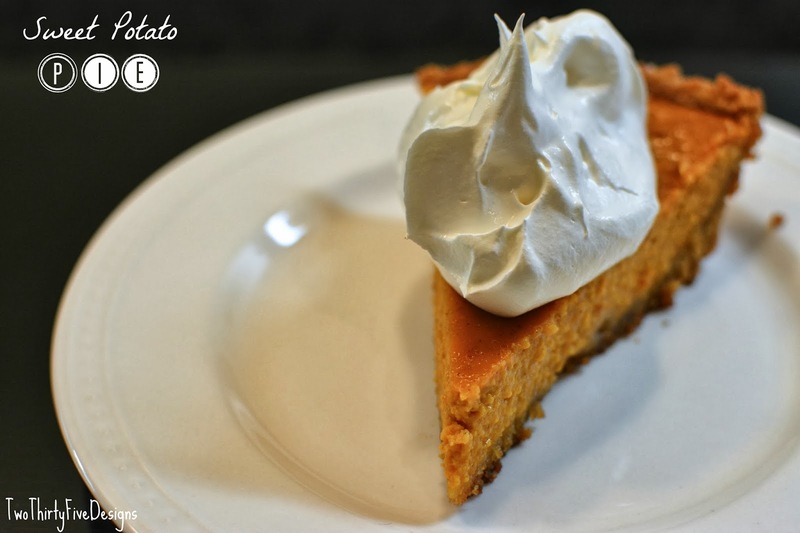 Add sweet-potato puree, half-and-half, lemon juice, vanilla, salt and allspice; whisk until completely smooth. Pour filling into crust; smooth top with a rubber spatula. 3. Place pie on baking sheet, and bake until filling is set, 40 to 50 minutes. Transfer pie to a wire rack to cool completely, about 2 hours.